We are a leading Manufacturer of jar washing machine and pressure tube from Nagpur, India. Acknowledged in the market as a manufacturer, supplier and trader, we are engaged in offering Jar Washing Machine. 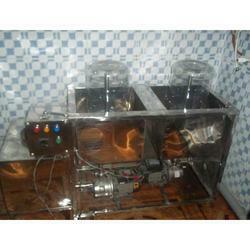 To manufacture these machines, we make use of superior-grade materials and basic components that are sourced from authentic vendors of the market. 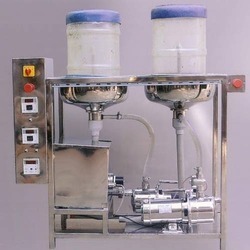 Moreover, to meet the demands of esteemed customers, we offer these machines in different specifications. To suit the demands of customers as a manufacturer, supplier and trader, we are engrossed in offering Jar Washing Machine. To manufacture these products, we make use of superior-grade materials like steel and other components that are sourced from trusted vendors of the market. In order to meet the urgent demands of customers, we have knitted a vast distribution network. We are actively engaged in offering to our clients a wide range of Pressure Tube that is widely demanded. 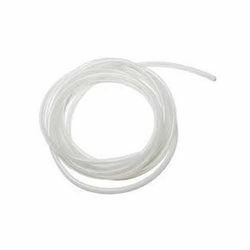 There is no oxide layer attached to the inner and outer tube wall and can resist high pressure. Our skilled professionals manufacture the offered tube using high quality raw material and highly advance technology. Clients can easily avail this range at market leading prices and within the promised time - frame.